CEO of YouTube Susan Wojcicki speaks on stage in 2014. Since it launched more than a decade ago, YouTube has been home to all manner of esoteric, highly specific video. Toy unboxing videos come to mind, or the can’t-look-away medical horrors of Dr. Pimple Popper. Increasingly, YouTube (goog) has been pushing advertisers to take advantage of these niche categories. With one billion users, YouTube has more scale than any pure-play video platform in the market. But the fast rise of Facebook’s video operations has created competition. Facebook (fb) has a big advantage in the amount and types of data it has on each user, meaning it can create highly specific audiences for advertisers to target. That’s why YouTube likes to promote its creators and their channels. To target based on the actual content of the videos, YouTube relies on third-party companies like Zefr, a Los Angeles ad-tech startup. Advertisers are eager to target niche communities, according to Dave Rosner, Zefr’s executive vice president of marketing. There are 1,679 YouTube videos about food coloring and people watch them an estimated 1.2 million times a day. There are more than 53,000 nail art videos with 1.5 million daily views and 315,000 “outfit of the day” videos with 2.5 million daily views. YouTube boasts more than 19,000 BASE jumping videos (where a person parachutes off of something) and they’ve been viewed nearly 600,000 times, according to Zefr. 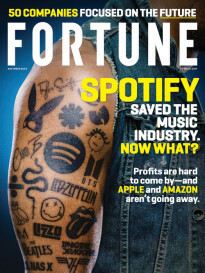 Subscribe to Data Sheet, Fortune’s tech newsletter. That’s how CoverGirl (pg) is targeting Star Wars fans with makeup tutorials and Toyota (tm) is targeting outdoor enthusiasts with volcano hopping videos. It worked, according to Justine Bloom, an executive vice president at the company. “The data shows when we get to that level of specificity you see all sorts of lift in brand lift, intention to purchase, and consideration of the brand,” she says. Carat client Adidas (addyy) has used YouTube to target obsessive “sneakerheads” who watch tons of unboxing videos, where people record themselves taking new purchases out of the box for the first time. “They think about [the Adidas brand] differently than a basketball fanatic,” Bloom says. “We segment consumers into attitudinal, mindset-based communities and align our creative with the passion and the context.” That works better than the default target demographic of “boys, age 14 to 20,” she adds. YouTube is touting these micro-communities ahead of the NewFronts, a series of advertising sales events held in New York each spring. 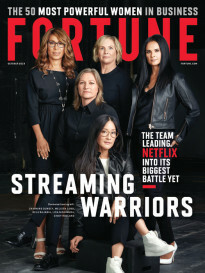 At YouTube’s 2015 NewFront presentation, CEO Susan Wojcicki highlighted YouTube’s homegrown stars and “Google Preferred,” its program that identifies the best YouTube creators and sells premium ads alongside their videos.